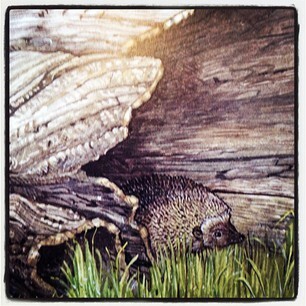 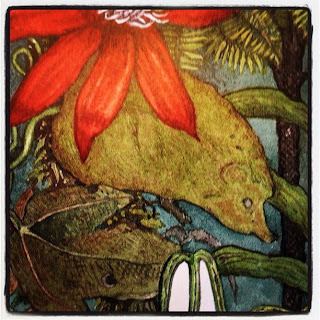 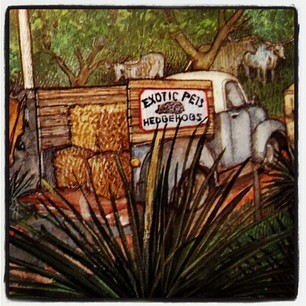 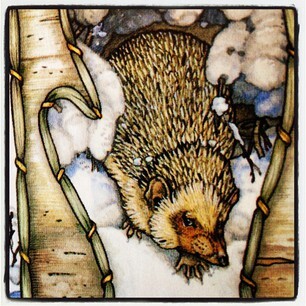 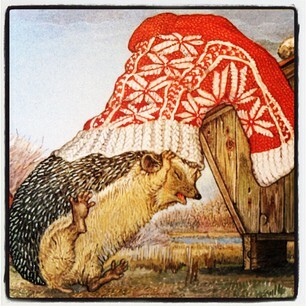 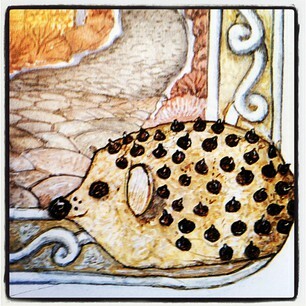 As you may or may not know Jan Brett (our featured Author/Illustrator for the month) has a great fondness for hedge hogs... in fact she includes spiky little Hedgie in most of her books, if he's not the star he's hidden in the illustrations. 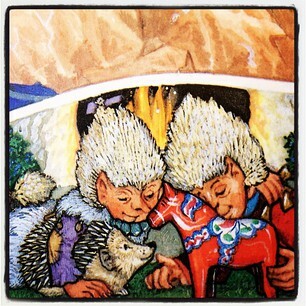 ps: My boys and I had this large stack of Jan Brett books and the challenge to find Hedgie, it was fun! 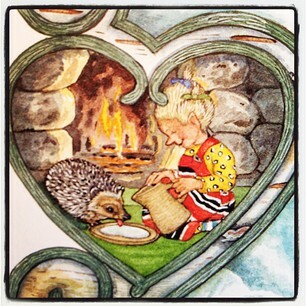 You should try it too, next time you're at the library check out a stack by Ms. Jan Brett... then set your little one/ones searching. 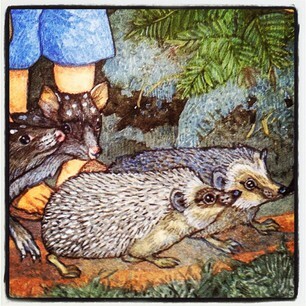 It kept my boys attention for five minutes or so- it's not about the quantity of time, it's the quality right? 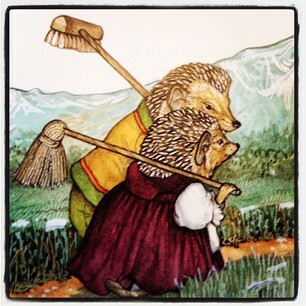 (ha ha) I hear there are children out there who could spend hours at such a task though, and perhaps those children are yours!